Tidewater Winds Concert Band is comprised of 55 talented woodwind, brass, and percussion musicians from across the Hampton Roads, Virginia region representing various military, professional, and college bands and orchestras. 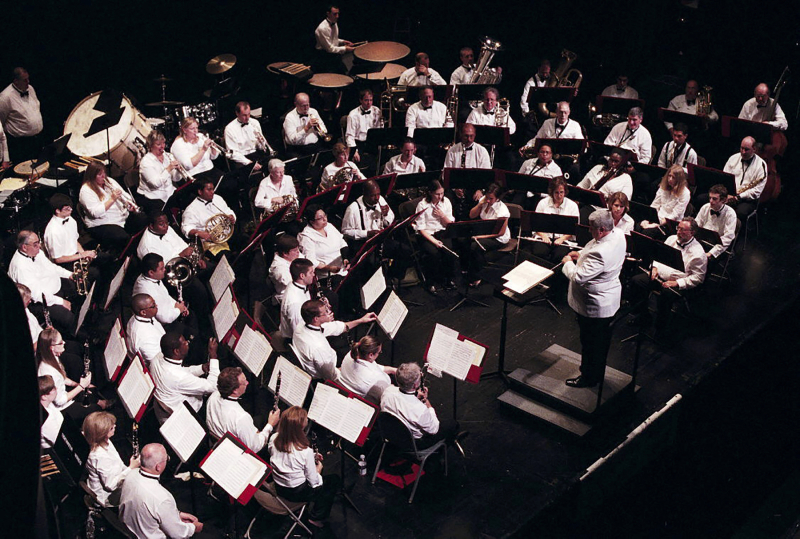 Tidewater Winds is one of a handfull of Concert bands like it in the country, preserving the unique heritage of American Concert Bands in the Sousa tradition. Selected high school students also perform with the band as part of our Student Intern Program. Scholarship funds are available to selected students who pursue a music degree in college. The mission of Tidewater Winds is to foster and maintain an organization dedicated to the making of music in the Sousa tradition. Furthermore, it is our charge to maintain the highest aspirations of musical art, creating performances and providing educational training programs for students at the highest level of excellence. Founded in 1985 as a 501 (c) 3 non-profit organization, the Winds present an average of 18 annual concert programs throughout the Hampton Roads community. Education is integral to our mission, and comprises two main components: the training of young musicians with professional guidance, and intern opportunities to provide students a background in arts management. Tidewater Winds presents programs to perpetuate the experience of superb musical performances to entertain and cultivate the broadest of audiences, to include all demographics inclusive of the elderly, the disabled, and lower income families, within and beyond our region. • To serve the community with live performances promoting the appreciation of musical artistry with a unique blend of concert band instrumentation. • To enrich, inspire, and create uplifting joy and patriotism in the lives of our audiences with fresh interpretations of a variety of musical compositions. • To provide opportunities to educate and mold young musicians which provide and contribute to future artistic excellence.